What is a woman to do? Seek love and self-fulfilment by abandoning a rotten husband, or obey society’s rules and devote herself to her family? 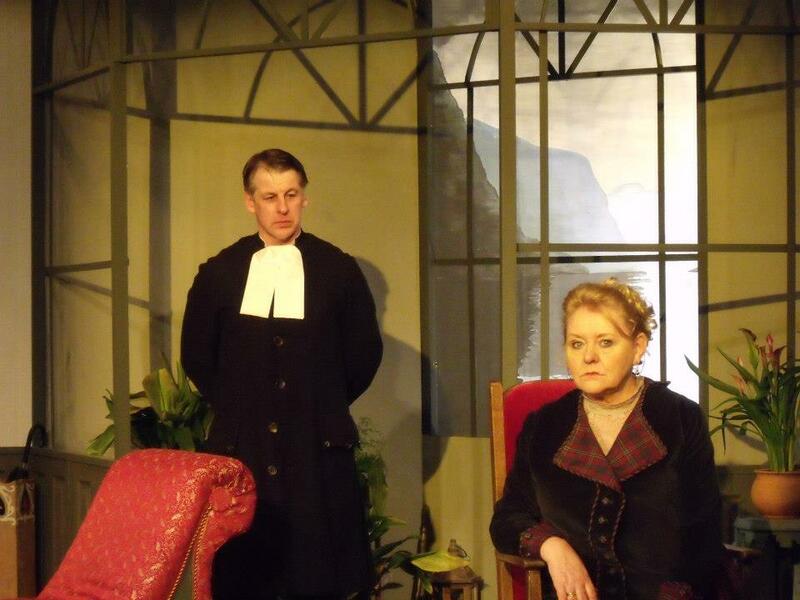 That’s the dilemma facing Mrs Alving in Henrik Ibsen’s ‘Ghosts’, which comes to north Leeds this week in a new production by theatre group Adel Players. Having followed the call of duty throughout her married life, Mrs Alving is now choosing to build an orphanage near her home to honour her dead husband. But the return of her son Oswald, combined with the priggish advice of Pastor Manders, results in a series of revelations that threaten to shatter the veneers of respectability they have all created for themselves. Poignant, laughable and very moving, ‘Ghosts’ touches nerves that are as sensitive today as they were a century ago – and audiences old and new are sure to be startled by the power of this particular version. 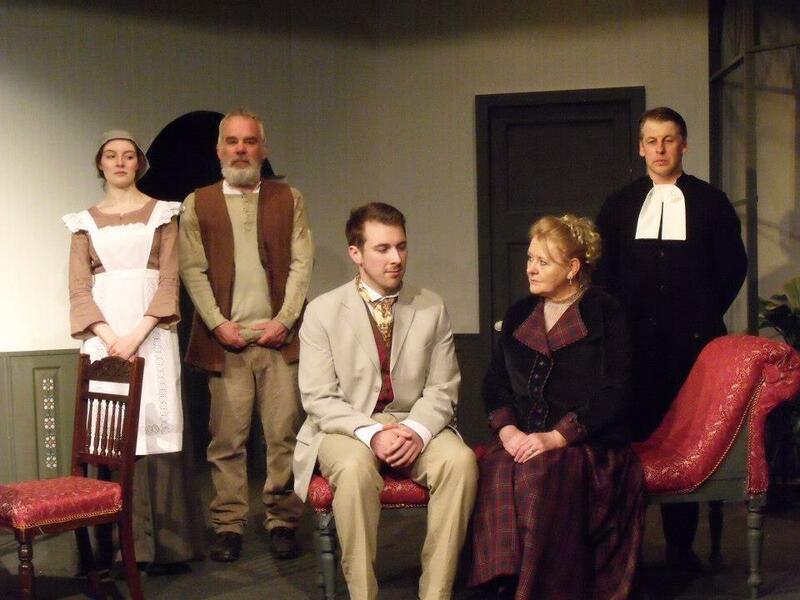 Adel Players are reaping the benefits of recent staging and lighting upgrades at the Memorial Hall, and the ingenious set design – a conservatory overlooking a Norwegian fjord, illuminated by sunlight – brings a noticeable sense of place on this occasion, while the sharp attention to detail extends to the costumes too. Mrs Alving’s stoic attitude – having kept up appearances in spite of the misery of her marriage – is conveyed in a performance of considerable fortitude from Dianne Newby. Her dignity and resolve are tested by the self-satisfied Manders, here played with amusing moral rectitude by Rob Colbeck until the clergyman is faced with wavering uncertainty over decisions past, present and future. Oswald is able to chip away at Manders’ righteousness in an early scene and, as the play progresses, Chris Andrews as the son is thoroughly convincing as he confronts his personal demons. There is strong support from Helen Duce as Mrs Alving’s maid Regina and also David Pritchard as her father Engstrand, both characters offering light relief amid the encroaching darkness before the dramatic conclusion prompts decisions for them too. ‘Ghosts’ was branded sensational and scurrilous after its debut in the 1880s, and while society is much harder to shock these days, director Beth Duce has successfully captured what makes the play relevant to modern audiences. The moral maze faced by a wronged wife, the pomposity of the pastor, the fear and confusion of a young man – such human qualities will always be familiar. The path chosen by Mrs Alving and its cruel cost results in a theatrical experience that is haunting and gripping.